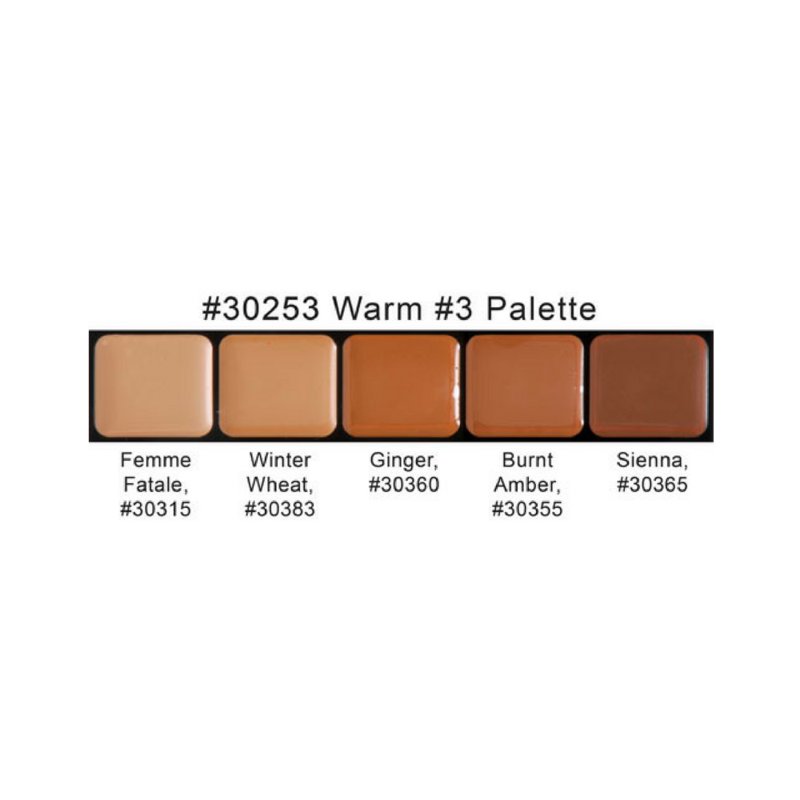 Graftobian HD Glamour Creme Palette Warm #3 is a high definition warm tone creme palette with rich coverage and a satin-smooth consistency. This is one of my favorite cream products. Long wearing and great coverage with minimal shine throughout the day.